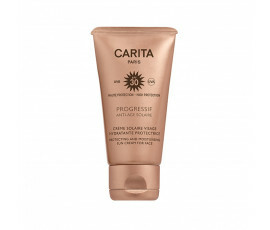 Enjoy only the benefits of the sun, avoiding skin dryness: Carita Paris Progressif Anti-Age Solaire offers an even and glowing tan while regenerating the skin and avoiding stains. 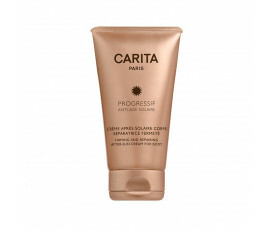 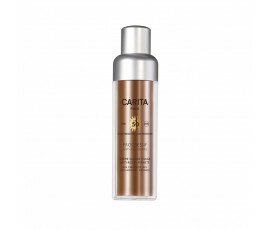 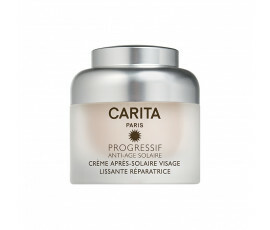 Carita Paris Progressif Anti-Age Solaire protects effectively your skin from damages caused by sun exposure. 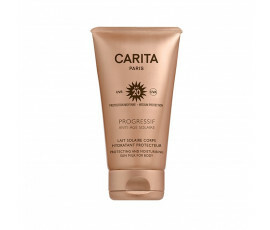 Enriched with a high concentration of Commiphora Cells, Carita Paris Progressif Anti-Age Solaire product line provides the proper protection from UVA/UVB rays, avoiding irritation and sunburn and preventing skin ageing.